Welcome to The Seen Podcast. In this season one preview, host Miranda Wylie takes you through her Seen List as she works to fulfill her desire to answer the questions: How do others see me? How do I want to be seen? 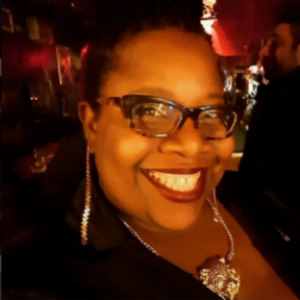 Seen as a sassy singer because of her size and race, Nikki DaVaughn shares what it is like to deal with stereotypes on an ongoing basis. Nikki postulates on the reasons why she is unseen by men of the same race. And it is with boastful pride that Nikki uses the hashtag #fatandblackinTexas. Justin Simien is a writer and storyteller. He wishes his Seen List ended there. Instead, Justin recalls a youth of isolation as “the only black kid” in grade school and his later role as a “blaxpert” in workplaces. “People think they know who I am based on the title of my work” explains the creator of “Dear White People,” a movie turned Netflix show. Because of the controversial nature of his work, Justin is perceived as a cultural commentator with answers, but he prefers to been seen as a storyteller with questions. As a comedian, Carina Magyar has a mission to be visible as a trans woman. That doesn’t mean she has given up her right to “shed personal identities to get day-to-day work done.” Owning a Seen List of identities that have been assigned to her, Carina discusses her journey to motherhood, bathroom politics, and meanness as a political tool. 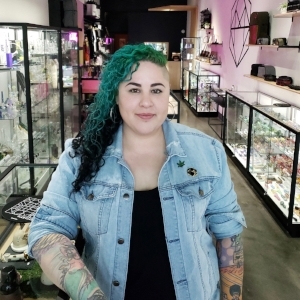 Seen as “just a girl” in a male driven industry, Jae Graham, co-owner of MaryJae Smoke Culture, is shifting the identity of the smoker by elevating the cannabis retail experience and promoting the benefits of CBD. With the motto “ask questions, discover new things, enjoy,” Jae mothers her customers much like she mothered the alcoholic family she was adopted into.